Dunoon are proud to endorse Temptation Gifts as our recommended online retail partner. 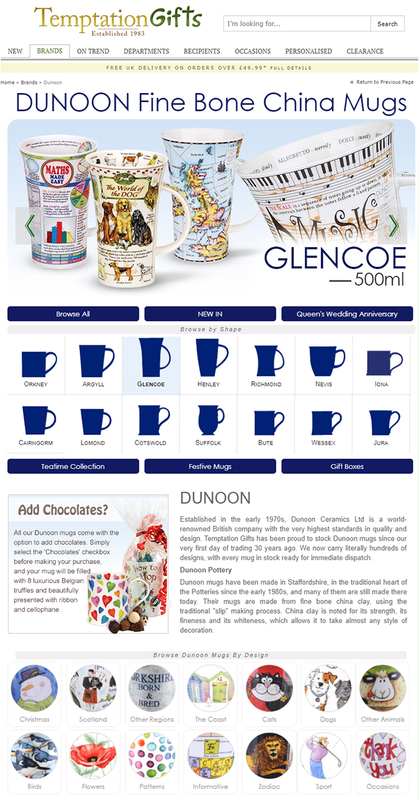 Temptation have been selling Dunoon mugs in their high street stores since 1983 and online since 2000. Their multi-award winning website TemptationGifts.com carries a range of over 750 Dunoon lines. Each mug is displayed with high quality, fully rotational photography so you can see it from every angle just like you could in a shop.